Messaging apps can be a double-edged sword. Not only do they let you interact with other people, but they also let you go back and reminisce on past exchanges. However, that same archive can be used against you in certain situations. Luckily, Signal can be manipulated to remove any record of past messages. Like most messengers, Signal archives your previous messages and makes them accessible to both parties indefinitely. While many messaging apps let you delete records on your side of the conversation, the other party will still be able to see and share any messages you sent them. However, Signal users can combine these four tips to hide their messaging activity, and even add a buffer between themselves and those messages in case the other methods are compromised. Google Voice is a VOIP app that lets you create a second phone number, which you can then use as a "burner" phone. Signal lets you sign up using a Google Voice number, which creates two benefits. First, you can have two numbers to text from on one device. Second, you can use your burner number as an extra layer of privacy. 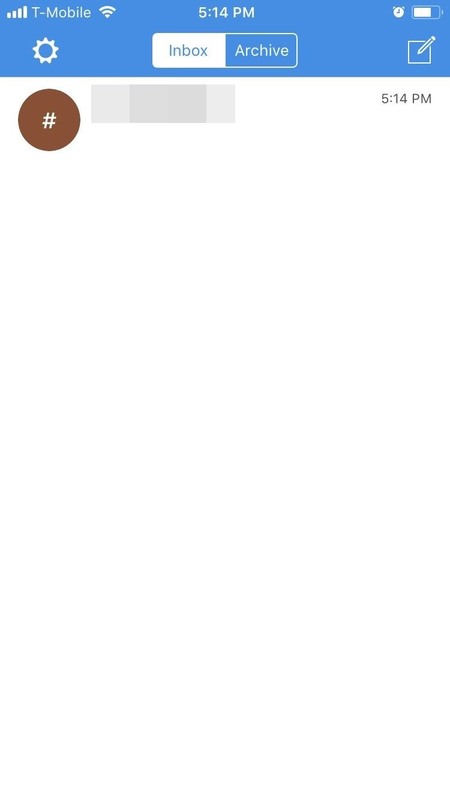 With this number, even if the user isn't a Signal user (which is required for another one of the tips here), texting them isn't associated with you. By using a "burner" number, any attempts to retrace the number would lead to your dummy account. In addition, the Google Voice number can be quickly deleted if needed. 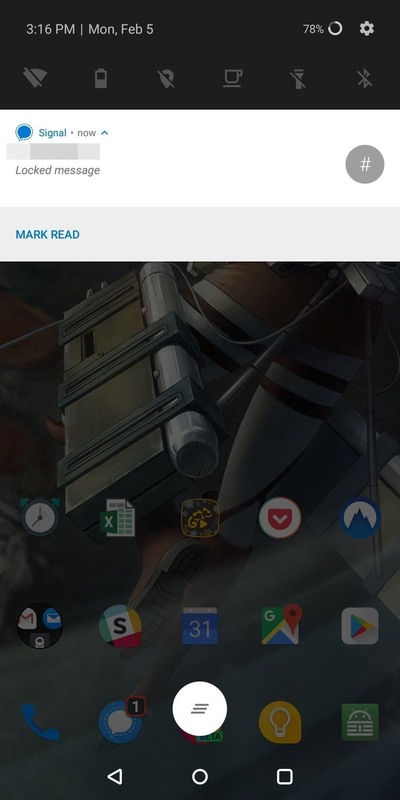 When you receive a notification, the contents of the message are visible on your lock screen by default. This means someone could easily grab your phone while you're in the other room, press the wake button, and read any messages you've received recently. 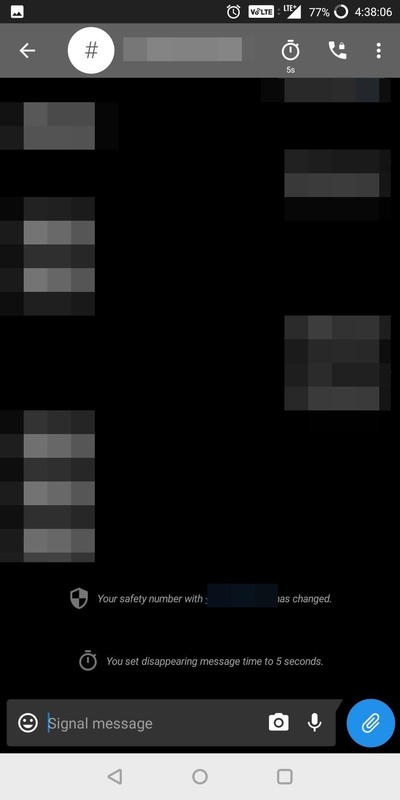 With the Android version of Signal, you can protect yourself from this situation — simply enable a passphrase that is required to unlock Signal. 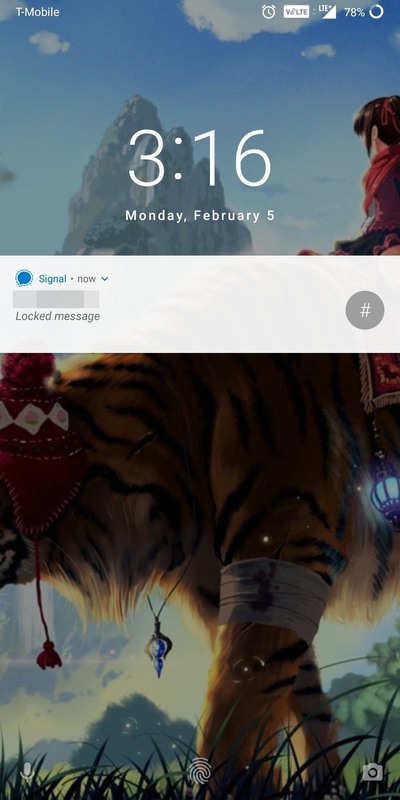 While Signal is locked, all incoming notifications from Signal are blocked from view and the app itself is blocked unless you type in your passphrase. For an extensive guide on how to utilize this feature, check out the link below. For iOS users, the Signal app is lacking this feature, but Apple has included a workaround. Starting with iOS 11, you can block notification previews for specific apps permanently, or simply require the device to be unlocked first. For more information on how to enable this feature, check out the link below. 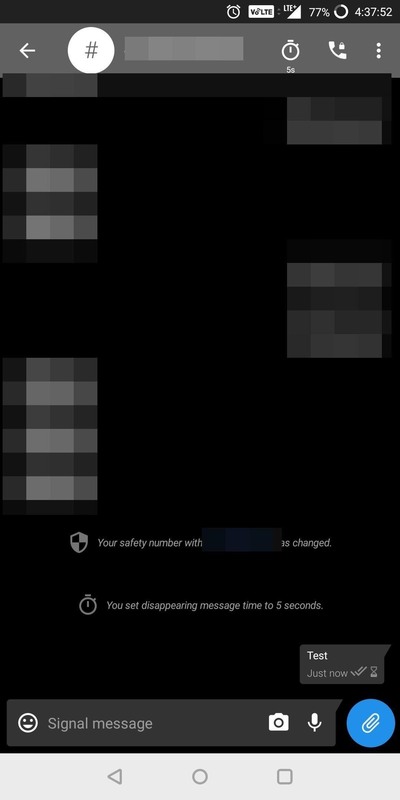 So you've locked your Signal notifications and used a "burner" number — are your text messages safe? They're certainly more secure now, but messages are still vulnerable to unauthorized access as long as a copy of them exists somewhere. When you text someone, a copy of the message exists on your phone and the recipient's phone. As long as their copy exists, that message is viewable by other individuals. While it would be nice to be able to trust individuals to delete their copy of messages, this isn't an intelligent method, nor your only choice. Signal can solve this problem with a feature they call Disappearing Messaging. Once enabled, you can set a timer for each message sent to a certain recipient. When the timer expires, all copies of the message are deleted — including the copy on the recipient's end. The only trace of the message is the automatic notification (sent by Signal to the receiver) that the message will expire after the set time. Check out the link below for a tutorial on how to enable this feature. Before (left) and after (right) enabling Disappearing Messaging. Even with all the above tips, you still need a contingency plan if something goes wrong. For total security, we can't depend on any feature to work 100% of the time. The only fool-proof way to protect any traces of your messages is to delete them. 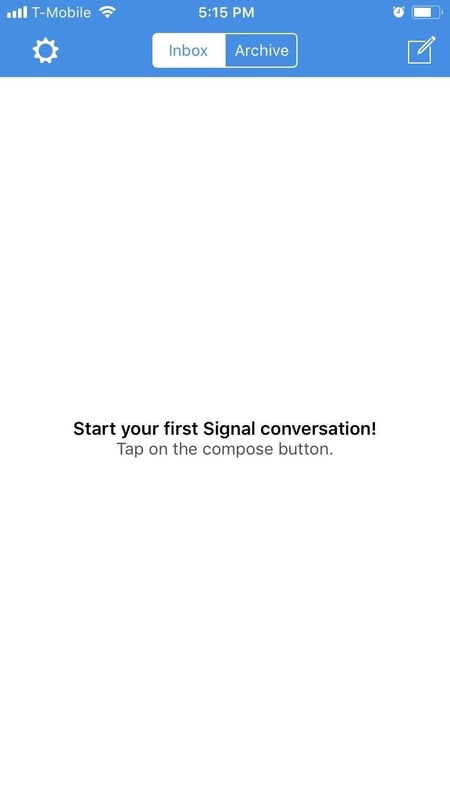 With Signal, you can delete multiple conversations a few quick taps. While the method on iOS and Android is slightly different, both are easy to engage in a pinch if you need to get rid of some unsavory conversations quickly. With Signal, you can be sure that your messages are only read by you and the recipient. While these steps won't guarantee protection against law enforcement, they can protect you from a suspecting significant other or loved one. Combined with Signal's industry-leading protection, you no longer have to worry about your messages falling into the wrong hands.